This is a bit of a “warts & all” kind of post, these are all things we use or issues we have, but are embarrassed to chat about! Not me! (much…). 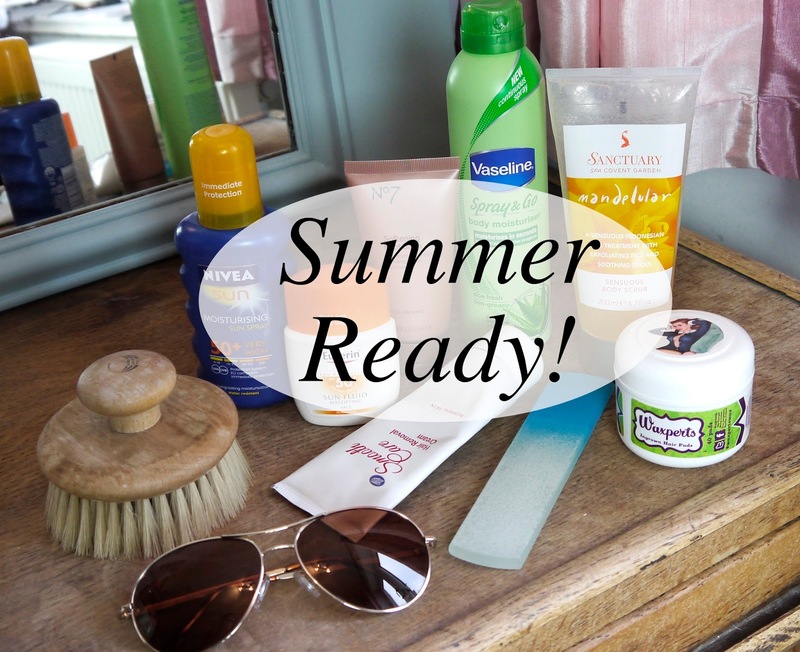 So let’s get started on the various products I use to prep me for summer and to continue using throughout the summer months! We shall start from the ground up, let’s talk feet. I use this glass foot file (or foot scraper) from Mont Bleu and I’m a bit in love with it. It gets rid of rough skin easily and leaves the skin on my calloused feet lovely and smooth. I’ve mentioned this file before in a review and much prefer it over a pumice stone, both accomplish the same thing though, so use whatever you have to hand. I try to do this about once to twice a week. I also like to use a foot moisturiser, you could just use your normal body moisturiser which is what I generally do, but I was lucky enough to be given a No7 foot cream as part of a christmas gift. I use this about twice a week, generally at night before bed. Helps get those feet looking recognisable, sandals can be hard on your feet, so do try to moisturise them when you can. Another foot product, is hair removal cream. This is where the embarrassment kicks in. A beautician decided to wax my toes about 10 years ago and I’ve been paranoid about them since, it was only blonde fluffy hair but she was not keen on any kind of body hair and I didn’t say anything like a muppet! Now I get darker hairs on my toes, so I take some boots hair removal cream* to them about once a month. Don’t let anyone wax your toes….lesson learnt. If you are paranoid about them, I find this works well and I don’t mind having my toes out in sandals! Now for body products! I try to use my body brush from The Body Shop before I jump in the shower, this does not happen as often as it should. So if I forget to do it before the shower I try to do it after the shower. This brush is more than just a way to get rid of dry skin, this brush improves circulation, it helps bring your blood to the surface. This means your skin generally looks healthier, your skin renews itself a wee bit quicker, generally I’ve found this is a good thing to do! Oh it also helps those lumpy bits at the tops of our thighs. Good if you like wearing short shorts. I also use a scrub in the shower at least once a week, again just to help my skin keep moving! Currently I’m using the Sanctuary Mande Lular body scrub, this does the job, I’ll probably try a different one next. Now more embarrassing products! Waxperts Ingrown Hair pads, these are the bees knees. I’ve always had issues with ingrown hairs along my bikini line and never really found a solution. Now I have and I will use these forever. I have gone on about these before in a review here, but quickly, these have drastically reduced the number of ingrown hairs I have and they’ve helped clear scarring from previous ingrown hairs and some surgery. I’m not as worried now about wearing my bikini – I used to wear shorts over the top as I used to worry about it so much! Love them, recommend them whole heartedly. I’m trying to get better at moisturising my whole body at the minute, so I’ve been using this Vaseline Spray & Go body moisturiser and it definitely has helped me moisturise on a more regular basis. I think I might try one of the moisturisers for dry skin next time though, this is very light on my skin. Now that I’m scrubbed, removed any interesting hair and generally left myself nicely moisturised and ready to flash a bit of leg in some shorts, time for the sunscreen! I wear factor 50 throughout the summer, I’m currently enjoying Nivea Sun Moisturising Sun Spray SPF 50+ with UVA & UVB protection. 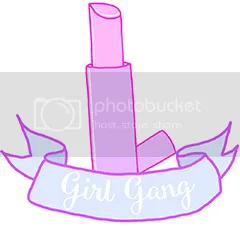 I wear this all over my body. I’m sure you all know by now that it only takes one bad burn to cause permanent skin damage and for those few cells to mutate, then ta da, cancer. You can die from skin cancer folks, please be careful. I’m always very careful in the sun as I had a lump out from my neck around the age of 10/11 and I come from a family prone to skin cancer, thankfully all still kicking – mostly due to luck though! So please be careful in the sun, it takes 5mins to apply. Also did you know you can still tan while wearing sunscreen??? See totally worth wearing sunscreen, long lasting tan that has been gradually built up plus no skin cancer!! High Fives!! Ok getting down off my soap box now. I use a different sunscreen on my face as I find body sunscreens to be slightly greasy. I’ve been using Eucerin SPF50+ Sun Fluid Mattifying Face. This helps to keep my face matte, not much, but every bit counts! Plus it doesn’t seem to break me out and didn’t feel greasy on my skin. Would recommend checking it out. Lastly sunglasses! When buying sunglasses it’s incredibly tempting to buy cheap sunglasses and have lots of different pairs that you can swap up. I would recommend considering something more long term. Mine are from boots and they have UVA and UVB protection while also being polarised. The UVA & UVB protection is the important bit. You’re causing long term damage to your eyes without it, again not to get on a soapbox but you’ve one pair of eyes folks, best to look after them a bit I reckon. My sunglasses were under £30 but they’re great! I would like a darker pair too, I’m considering treating myself to a new pair this year for my birthday. My sunglasses live in a case and because I know they’re not cheap I’ve looked after them and they’re doing fine over a year later! If you want to know a wee bit more about looking after yourself in the sun, you can read a useful article here, which also mentions the results of sun damage to your skin and eyes. I’ve done a video discussing all the products mentioned, probably chatted a bit more about them to be honest! You can check that out below.